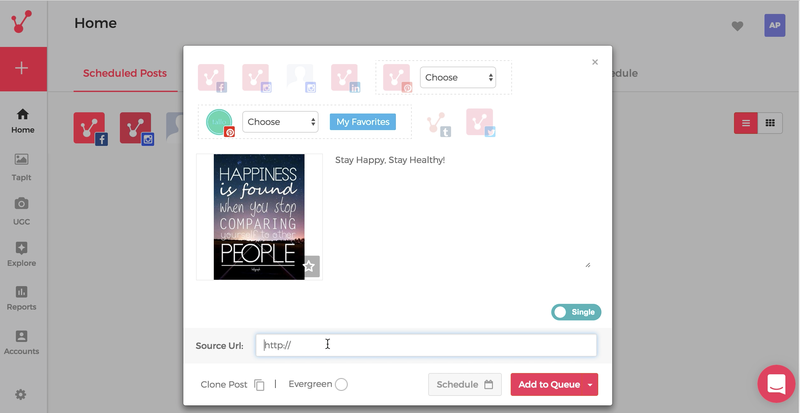 Viraltag is always looking for ways to automate your social media efforts and save considerable time. With our new ‘Post Recycling’ capability you’ll save time and increase traffic which leads to an effective social media strategy. We understand you are busy and there are times when you may run out of new content to add to your posting queue. 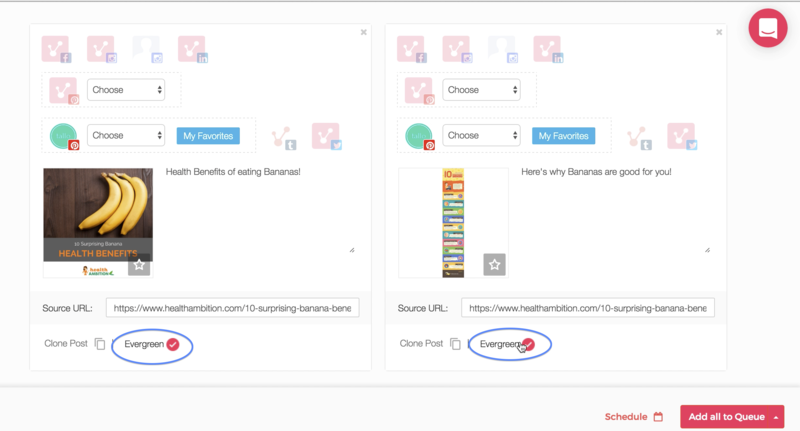 Viraltag’s Post Recycling feature will help you in these situations by automatically posting your best performing posts from your content library. 1. Schedule a post as you normally would. You can upload one from your computer, the internet, or from your Facebook, Flickr, Dropbox, Google Drive or Instagram accounts. 2. In your scheduling screen, you’ll see an option at the bottom to mark this post as Evergreen. 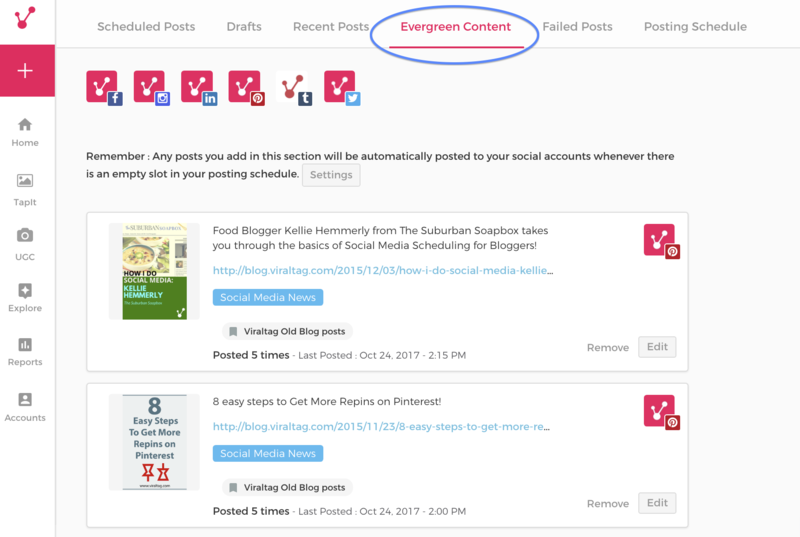 Click on this option if you would like to add the post as Evergreen content. You can finish scheduling by clicking on the Schedule or Add to Queue option. 3. You can use this feature when uploading Multiple images as well. 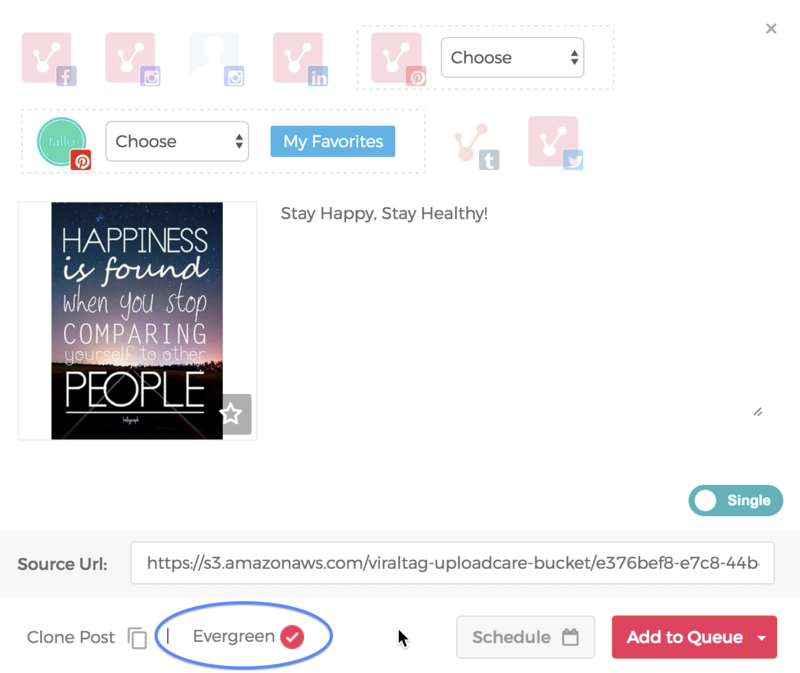 While scheduling posts in our Bulk Editor, just click on the circle next to Evergreen and then either Schedule it or Add it to the queue. 4. You can also look back to some of your previously posted high performing content and mark them as Evergreen. To do this, Go to the “Recent Posts” section. At the bottom right hand side of every post, you’ll see the Evergreen option. Click on this and your post will be added to Evergreen content. 5. You can view all posts you have marked as ‘Evergreen’ under the ‘Evergreen Content’ tab in your homepage. 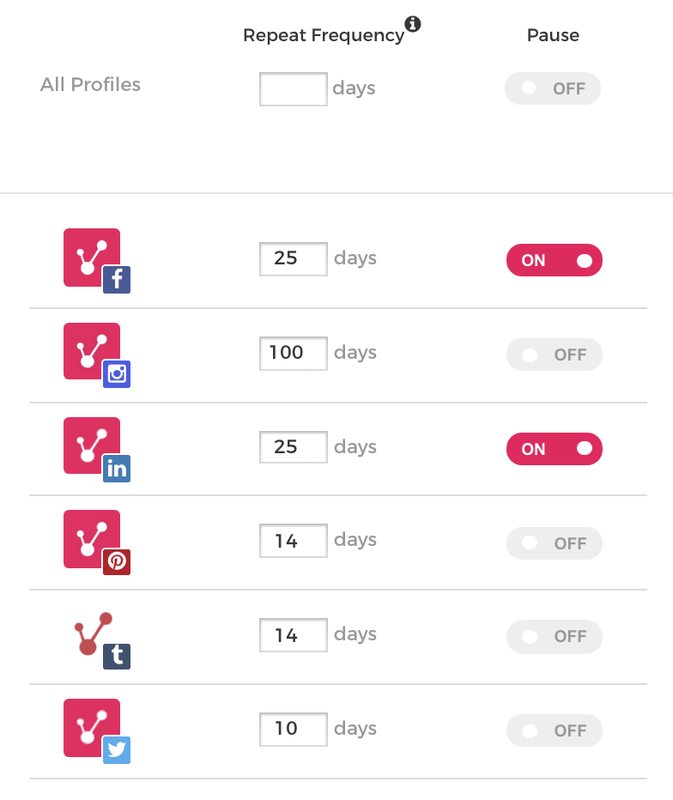 Set a common Repeat frequency for all your profiles. Have profile specific repeat frequencies. Say you want posts getting recycled on Twitter more frequently than on Facebook. You can set the non-repeat interval for Twitter at 10 days and for Facebook at 25 days and so on. You can also choose to 'Pause' your Evergreen queue for each social profile or for all social profiles by sliding the Pause button to the 'On' state.